I always thought Basilisks were huge. Love your photos! 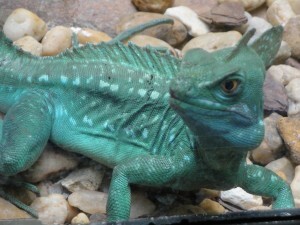 I thought basilisks were giant like on Harry Potter and the Chamber of Secrets.Awesome photos! Hi, Cayton. Thanks for writing. That type of basilisk is a legend, but this kind is real! I’m glad you liked my photo, and you can check out more cool reptiles in my book Giant Lizards.